I’m fortunate. Right now I’m not in a plateau, I’m in a losing streak. Things are GOOD. They won’t always be this fluid, this easy, so I’m grateful for this time. I wish I could keep my eyes open for some photos sometime. Geesh. Losing my trainers was a serious blow. Obviously they’ve been such a big part of my fitness progression that I’m not going to let them go. I plan to follow them to their next gigs. But I’m still hanging in there with TRX. I’m trying to get back on board with Turbo Fire. I’ve been doing a lot of functional fitness with moving our stuff out of our NorCal apartment and muscling our stuff around our current house. I’ve been drinking Shakeology EVERY day. Being in Beachbody Coach training has really kept me accountable with workouts and Shakeology. It’s been fabulous. Wins. I’m in a smaller size of jeans. My 2 year old holiday dress is too big. I really need it altered, it’s strapless and there’s very little holding it up. My 3 year old business dress is a freakin’ tent on me. I’ve started going through my closet and there’s a lot to go. This loss has really snuck up on me. That’s fine! I’ll take it! I’ve struggled with a cold that will not completely leave. I’m better but my coughing is still there, my throat is still raw and my nose keeps running. I’ve had the old “I’m sick, let’s eat” appetite, so to be logging in loss and seeing results is SO HUGE. Hello out there. I’m still here! Things have gotten nutty in my world and I am not really able to go in to the specifics. But, I’m still fighting the good fight. 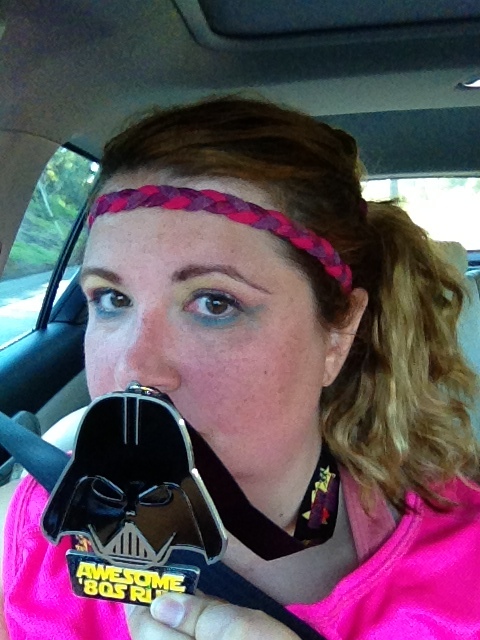 At the beginning of November I did the Awesome 80s Run 5K again. Two groups of girls wouldn’t let me pass them. It made me mad! I beat one group through the finish, with Patrick doubling back to run the last 0.1 with me. I kicked my gym training up. 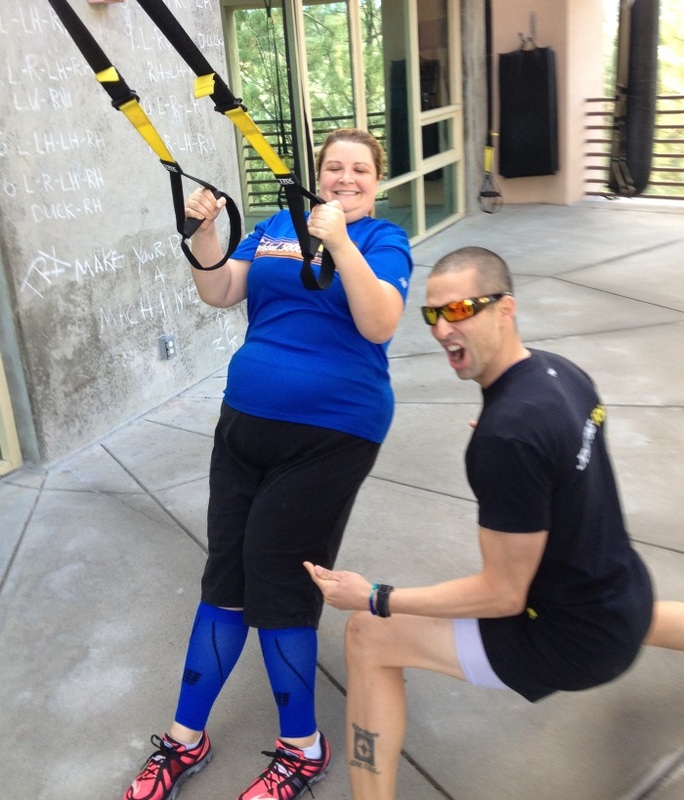 I was going to 2 circuit training classes a week and 2 TRX classes a week. I did a 60 day Beachbody Challenge. Things were great. Then, 2 of my trainers left my gym. Don’t worry, I’m following one to her next thing. And the other, well, as soon as I know what he’s up to – I’ll be back with him, too. I’ve also decided to completely double down on fitness and Beachbody by becoming a Coach. I am faithfully drinking my Shakeology every day and I’ve seen some great improvements to my health! I’m so much more regular, my energy is up, and I’m not hungry between meals. I promise, I’ll be back with more posts and craziness. I just wanted to fill you in on what’s up!